A guest post from Michael. The Spontaneous Smiley is such an amazing global art project because it gently and very effectively reminds you to be happy! When you see one of these amazingly creative Spontaneous Smileys you tend to focus on that happy thought within your mind, and like magic you feel happy! You create the happy experience you are feeling through what you decide to think about. Every time you were ever happy in your entire life without exception you created that happy experience without realizing it. This is how you did it within your mind. 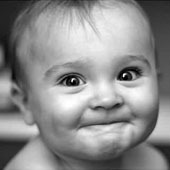 You focused your attention on a happy thought and emotion intensified that thought and you felt happy. This is what you asked your mind for and it always delivers. The same goes for unhappiness. Every time you were unhappy, you focused your attention on an unhappy thought and emotion intensified that thought and you felt unhappy. This is easy to follow. However, in order accept this completely you must be convinced that your happiness or unhappiness cannot come from anything outside of you. Let’s look closely at something outside of you that you may believe is the source of your happiness; a birthday party. You are having the best birthday party of your life! You are receiving all the gifts you have ever wanted. Everyone you wanted is in attendance and having a great time. You are enjoying the best food ever and the weather is perfect. You are so happy! Then you remember that you have to go to court next week because you are getting sued. Right at that moment you become stressed, angry, frustrated or sad. Whatever it might be you are no longer happy. If the birthday party, the gifts, the people, the food or the weather was the source of your happiness you would have to be happy for the duration of the event. Of course that’s not the case. If you look back at your life what you are thinking about is always the source of how you feel. Coming to this realization will change your life for the better and you can look to the right place for your lasting happiness; your mind. The simplest of understanding inside your mind will give you the happiness you have been chasing your whole life. Your mind consists of four interacting parts (consciousness, attention, thought & emotion) working together to create your experiences of life. Not actual life events only how you experience those events within your mind. Your mind works like this: You are the consciousness controlling your attention. You use your attention to choose the thoughts you want to experience and your thoughts control how you feel. Once you understand (experience) who you are within your mind (consciousness) and become skilled at using the tools within your mind (attention, thought and emotion) being happy is very easy. 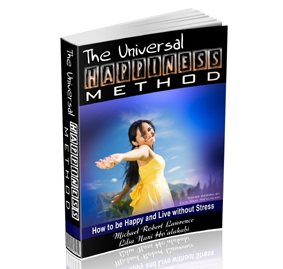 Being happy or unhappy comes down to understanding the simple mechanics of your mind. Once you understand and experience these simple mechanics you can begin to consciously choose the thoughts and emotions you would like to experience and avoid those thoughts and emotions you don’t want to experience. Join in the conversation with Michael on Twitter, Facebook and YouTube.